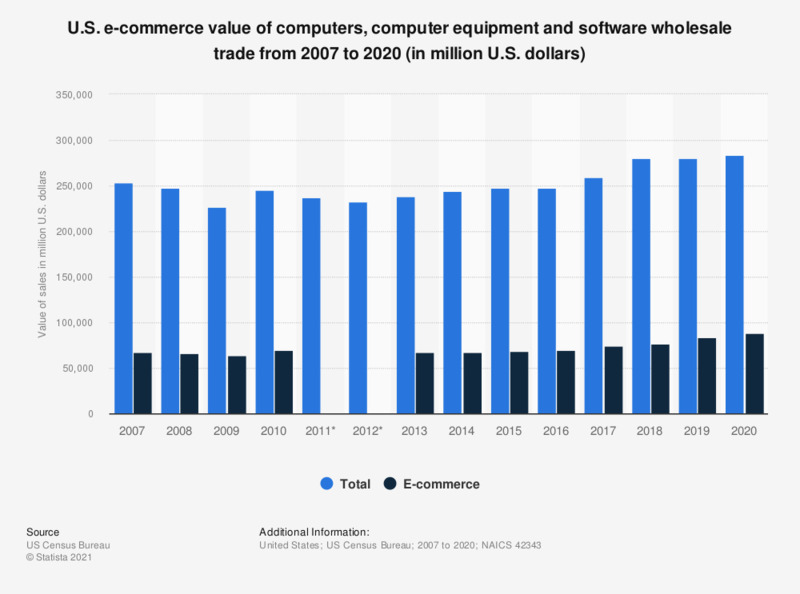 This timeline shows value of total and e-commerce sales of computer equipment wholesale trade in the United States from 2007 to 2017. In 2017, the B2B e-commerce value of computer and computer peripheral equipment and software sales was 72.3 billion U.S. dollars. *Denotes an estimate withheld to avoid disclosing data of individual companies; data are included in higher level totals.